George R.R. Martin is an American short story writer and novelist in the science fiction genres, a television producer and screenwriter. He is best known for thebestseller series, A Song of Ice and Fire, which was later adapted into a television series, Game of Thrones, by HBO. George currently serves as the co-executive producer for the TV show and has scripted four episodes. 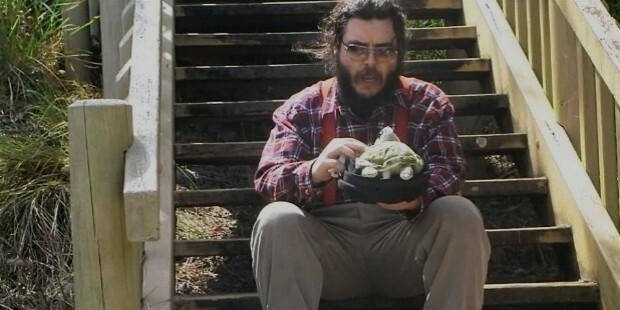 In 2005, he was named as "the American Tolkien" and one of the"most influential people in the world" by the Time magazine. George was born on 20th September, 1948, in Bayonne, New Jersey, to parents, Raymond Collins Martin, a longshoreman and Margaret Brady Martin. He has two younger sisters, Janet and Darleen. George’s father was of half Italian descent, and his mother of half Irish ancestry. The family moved to the Bayonne Docks in 1953. George attended the Mary Jane Donohoe School and the Marist High School. George did his B.S. and M.S. in journalism from the Northwestern University. George worked as a VISTA volunteer for two years with the Cook County Legal Assistance Foundation. A proficient chess player, George handled chess tournaments for the Continental Chess Association. George joined the Clarke University as a journalism and English professor. He became the Writer in Residence during that time. George started writing full time and moved to Santa Fe, in 1977. George sold his first short story, The Hero, to the Galaxy magazine, at the age of 21. Morning Comes Mistfall was nominated for the Hugo award and Nebula awards. George served as the Vice President of the Science Fiction Fantasy Writers of America. 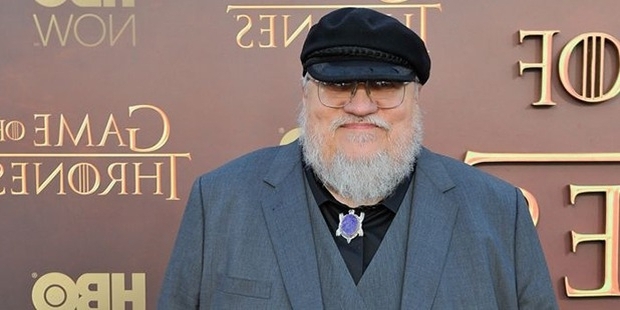 In 1991, George wrote his first novel, The Song of Ice and Fire, released in 1996 under the name The Game of Thrones. 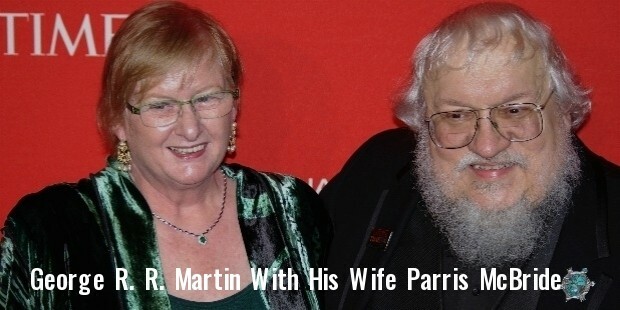 His novels from the series, The Song of Ice and Fire featured on the New York Times Bestsellers and ranked No. 1 on the Wall Street Journal’s bestseller list. George’s works have been nominated for the Quill Award, British Fantasy Award, Hugo Award, World Fantasy Award and Locus Poll Award. The novel, A Dance with the Dragons, won the Locus Poll Award for the Best Fantasy Novel in 2012. Georgehas a fan club called Brotherhood Without Banners, which focuses on his hit novel series. George’s his first marriage to Gale Burnick ended in 1979. He married longtime partner Parris McBride, in 2011. George Martin won the Hugo award and Nebula awards for his short story, Morning Comes Mistfall. 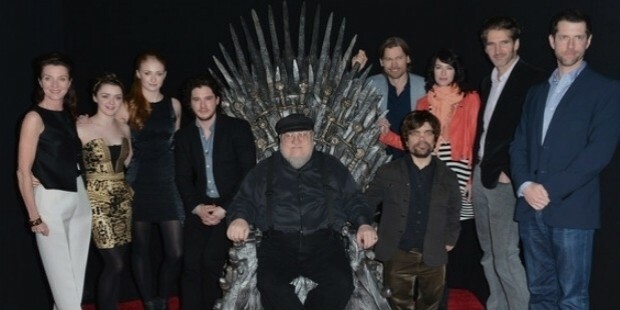 His novels from the series, The Song of Ice and Fire featured on the New York Times Bestsellers and ranked No. 1 on the Wall Street Journal’s bestseller list. George’s works have been nominated for the Quill Award, British Fantasy Award, Hugo Award, World Fantasy Award and Locus Poll Award. The novel, A Dance with the Dragons, won the Locus Poll Award for the Best Fantasy Novel in 2012. Public Relations as a Tool of Branding - Why?